PBL InterferonSource (PBL), a provider of interferon research tools and services, has launched the latest addition to its Multiplex ELISA line, VeriPlex Human Interferon Multiplex ELISA kit. 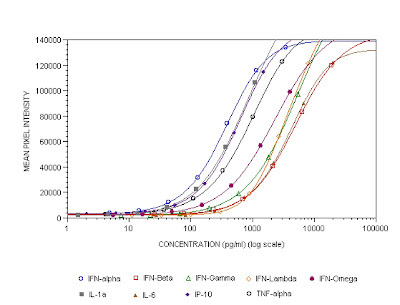 The new multiplex ELISA kit (powered by Quanysys Biosciences’ Q-Plex Multiplex ELISA technology) allows life scientists, for the first time, to benefit from simultaneously quantifying Human Type I, II, and III interferons as well as related pro-inflammatory cytokines from a single biological sample. The kit is also compatible with serum/plasma samples. 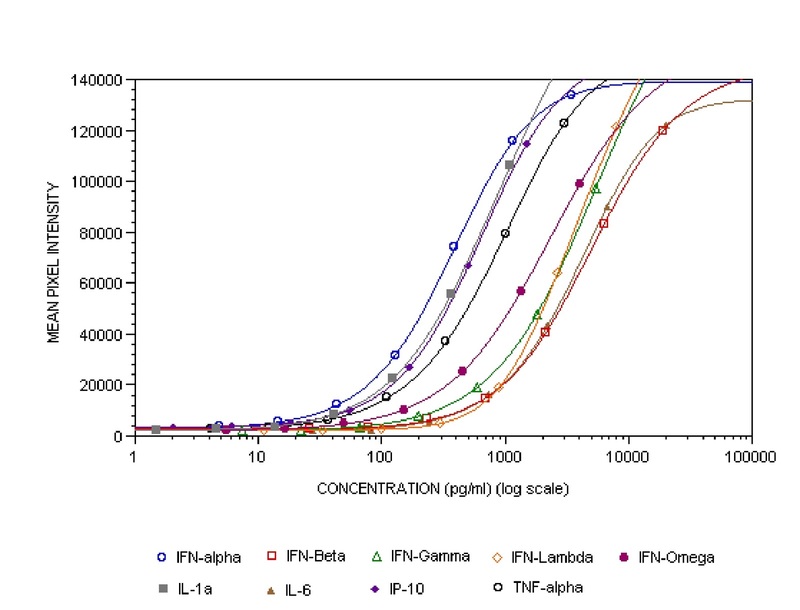 Image caption: Composite standard curves represent all 9 analytes in the VeriPlex Human Interferon Multiplex ELISA kit.